Welcome to our ranking of convenient and affordable online database management degrees for 2018. Database management is a highly specialized area of information technology. The job typically includes a mixture of data analytics, database development and maintenance, security, and management. Degree programs approach the subject in different ways, some focusing more on the technology, others on the data analysis, and others on the management aspect of the profession. 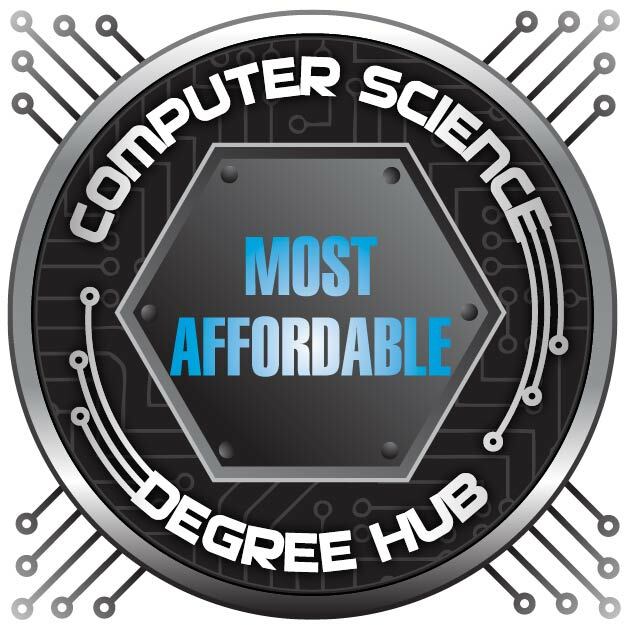 There are examples of each of those approaches among the degrees here in our ranking of the five most affordable online database management degrees. The first thing you will want to do when choosing a degree is make sure it focuses on the area of database management that most interests you. After that it’s just a matter of finding the degree that lines up with your career goals, and you are well on your way to a successful career in the field. Typically ascending to the top levels of this profession only requires a bachelor’s degree, and from there it’s all work experience. You can find more information on database management as a degree and career at the end of the article. Our sources are also listed below. WGU offers a low-cost online database management degree with several certifications. As part of their online Data Management degree, Western Governors University graduates will also earn a Udacity Nanodegree. The nanodegree is integrated with the bachelor’s program at no extra cost and entitles graduates to all of the employment placement and resume support offered by Udacity as part of the nanodegree program. Also built into the program are IT certifications from Oracle, CompTIA, and CIW, also no extra cost beyond tuition. These innovative integrations add a lot of value to what is already one of the cheapest online data management degrees available. This cheap online degree in data science is offered through the University of Maine’s Augusta campus. 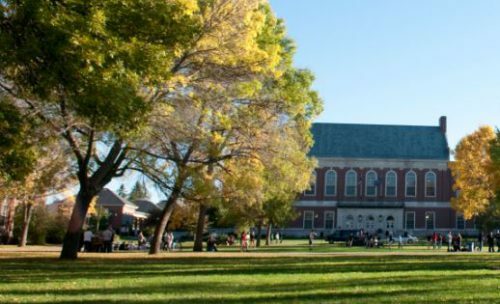 The online data science concentration offered by the University of Maine’s computer information systems program features courses like database management, database management systems: Oracle, data mining, advanced Oracle programming and application, data visualization, applied statistics, and geographical information systems. Core computer information systems courses include operating systems: Linux, systems analysis, and project management; all students will have the opportunity to participate in an internship. Check out the coursework available with CSU Global’s database management online degree. 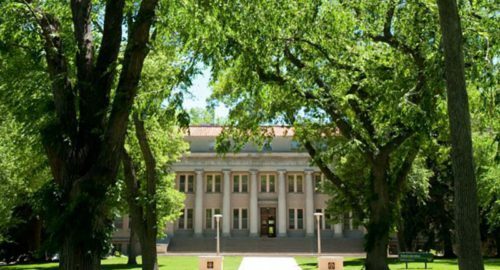 Colorado State University’s Global Campus offers an information technology degree with a specialization in data management and analysis as one of 22 specializations available for the online degree. Students in the program will take courses like information technology project management, database management, network enterprise solutions, information systems and security, intermediate networking, database management, cloud computing and big data, and data mining. 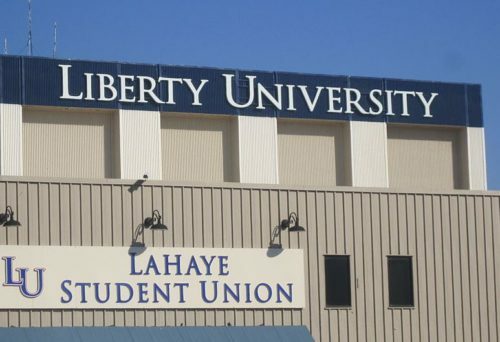 Liberty University is one of the few Christian universities to offer an online data management degree. Liberty University’s online data management degree is offered in conjunction with the university’s business school and is ACBSP-accredited. The 120 credit-hour program is offered 100% online, and students may transfer in up to 90 credit-hours, making this a great option for degree completion. Courses last for eight weeks, and there are eight start dates per year, so you never have to wait long to get started earning your online data management degree. Students in the database concentration will take courses like Oracle, object-oriented programming, web enterprise technologies, and information systems project management. 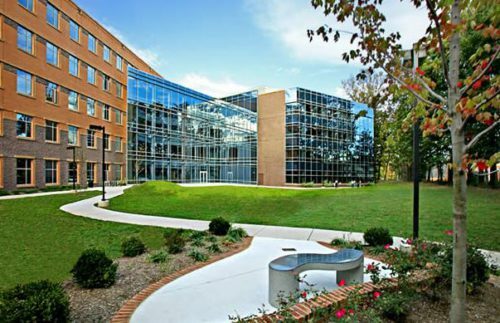 George Mason University’s online degree in database management will qualify you for a broad spectrum of jobs in network administration, information security, information systems, telecommunications, and web development. Students in the database technology and programming concentration will take courses like program design and data structures, event-driven programming, database management, database administration, scalable web applications, and information storage and management technologies. According to the Bureau of Labor Statistics, database managers typically hold bachelor’s degrees in database management or a related field. They start in entry level positions and often move into management within five years. The median pay for database administrators is $84,950 per year, and such positions typically require just a bachelor’s degree. The job growth, according to BLS, is 11% between 2016 and 2026, a total of 13,700 jobs. Database management concerns itself primarily with the development, maintenance, security, and operation of databases. Often this also includes developing scripts and techniques to collate and analyze the data contained within the database. Database managers are constantly striving to improve the effectiveness and efficiency of database tools and services. Many industries have legal regulations placed on the storage of sensitive data, and database managers make sure that their system meets or exceeds these regulatory requirements. Database managers also monitor data entry procedures, engage in troubleshooting, and build new databases. First, I want to mention community college. Unless you are going to attend an ivy-league university, I would like to encourage you to consider doing your first two years of university at community college. Sure, it’s not the Hollywood college dream of dorm rooms and month-long parties, but when you consider that your community college tuition can be covered in many cases by just one or two federal grants, it starts to look very good. Not to mention that good grades in community college will practically guarantee you excellent financial aid and allow you to transfer into just about all the best state universities and a good many of the top private schools. So if you’re looking to get your college education for a great price, community college is a great place to start, regardless of your age. Many community colleges have online programs as well, so chances are you will be able to attend community college without ever having to set foot in a classroom. Your first stop when searching for financial aid should always be FAFSA. This is where the bulk of everybody’s financial aid should be coming from. Federal education grants are essentially free money, and federally subsidized student loans have incredibly low interest and tons of great programs for paying them back, including loan forgiveness if you work at a non-profit for ten years. After that, private grants and scholarships should be where you look. Finally, if all else fails and it’s your only option, you can apply for private student loans. Private loans tend to be the worst deal and the most expensive form of funding. So make sure you exhaust other sources first. Online learning can be a life saver because of its flexibility. Most students who earn their degrees online are older than the traditional college age and require a higher level of flexibility in order to fit a degree into their already busy life. However, with more and more degrees being offered online, and the first generation to grow up with the internet hitting college age, the online option is going mainstream fast. How do you know if it’s the right fit? That’s not an easy question to answer, and you should ask yourself several questions before enrolling. Are you the kind of person who can learn by watching videos? Would you be comfortable taking tests online? Can you handle not having any face-to-face interaction with your professors and fellow students? Are you highly self-motivated and disciplined? While online education is a great option, it’s not ideal for all students. If you need the flexibility and are comfortable with the format and technology, online education offers unprecedented levels of flexibility. National Center for Education Statistics: Tuition and graduate rates. 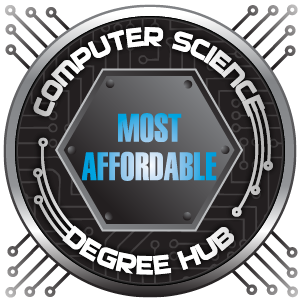 This concludes our ranking of the top 5 cheapest online database management degree programs in 2018.